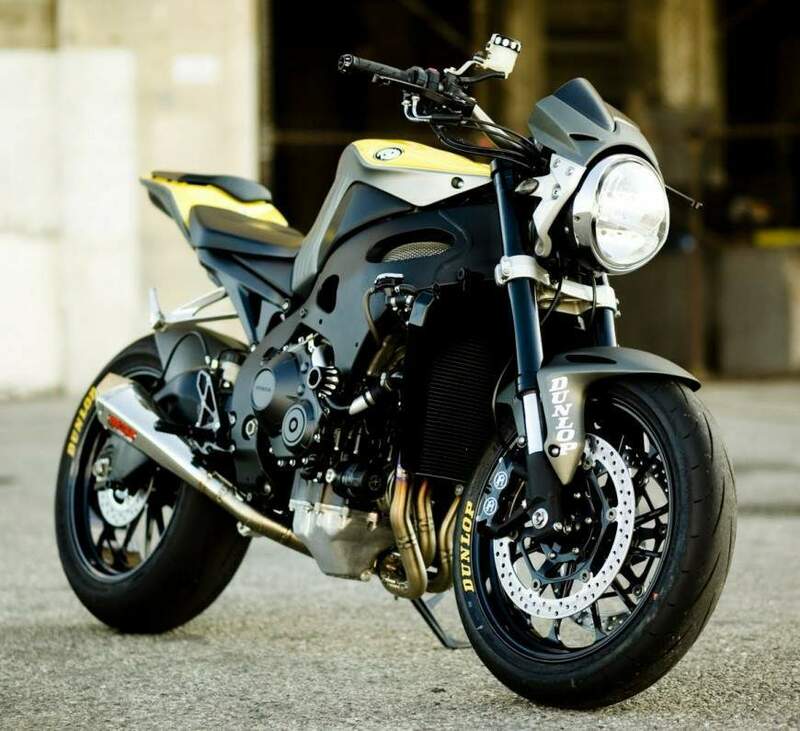 This Fireblade-based naked is one of Roland Sands more restrained transformations, but it’s still a great-looking motorcycle that proves that a great idea is more important than throwing parts and cash at a bike. A 2006 Honda Hornet 600 headlight and cowl is fitted instead of the fairing, though the standard tank, seat unit and even pillion pegs remain. The Fireblade’s standard rear numberplate holder is removed too. 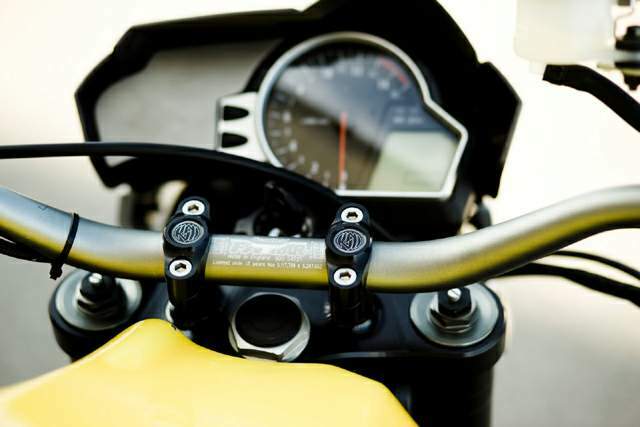 Wide, flat handlebars are fitted instead of the clip-ons on a standard CBR1000RR. Custom satin gold/yellow paint finishes the job off. 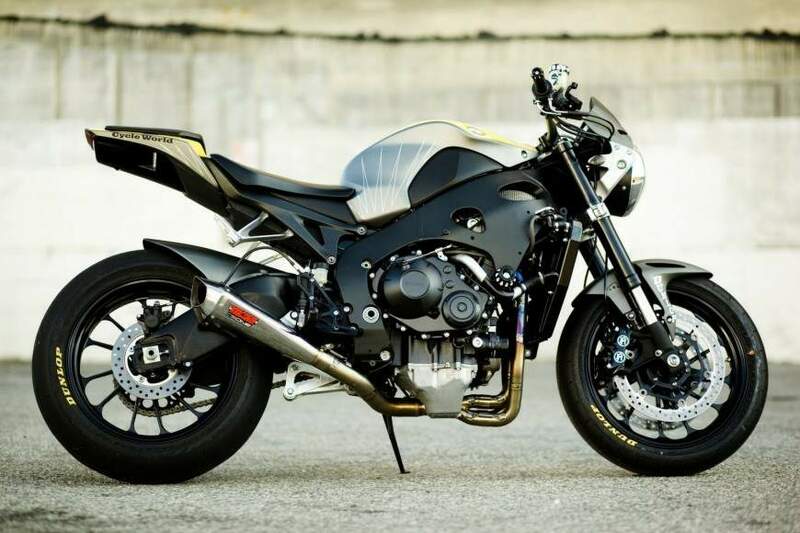 Sands has replaced the stock Honda exhaust with a Vance and Hines CS One full exhaust system, and Performance Machine wheels, brake calipers, levers and crash bobbins are fitted too.